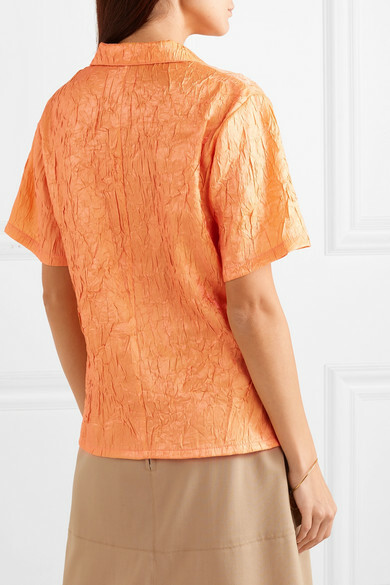 REJINA PYO's Spring '19 collection is inspired by the way real women dress and accessorize every day. 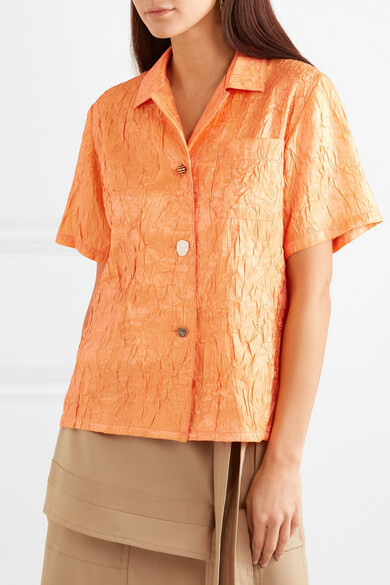 This 'Mila' shirt is cut from orange crinkled-satin and cut for a boxy fit, which looks so cool half-tucked. 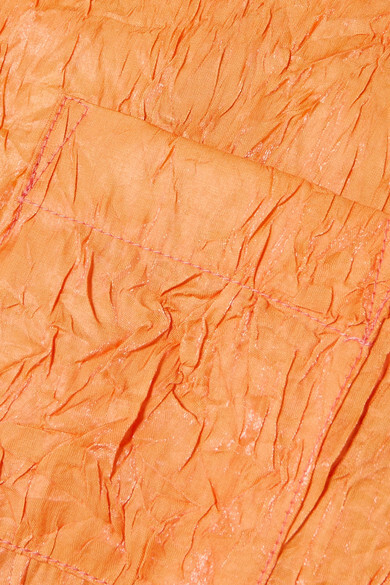 It's finished with a pocket at one side and functional artsy, clashing buttons through the front. 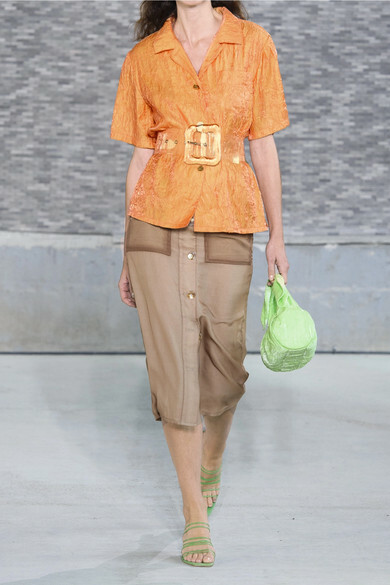 Emulate the designer's runway styling and wear yours with something neutral and neon accessories. 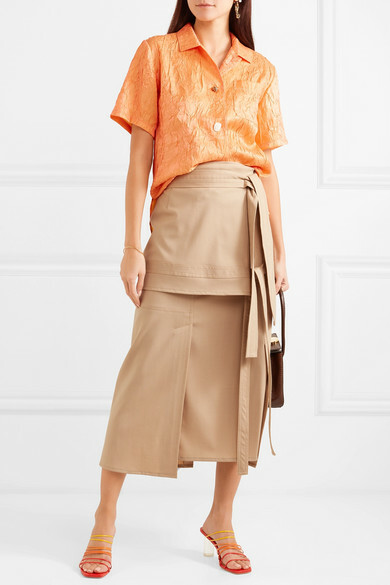 Shown here with: 3.1 Phillip Lim Skirt, Little Liffner Tote, REJINA PYO Sandals, Hillier Bartley Earring, Alighieri Bracelet.